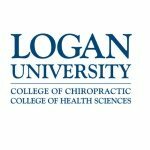 February 13, 2014 — The nation’s largest integrated healthcare system has selected Logan University to participate in a pilot chiropractic care program at its St. Louis facility. Logan is one of four chiropractic institutions in the county that will engage in residency training with the U.S. Department of Veteran Affairs. The program will begin July 2014. Logan Associate Professor Pamela Wakefield, DC, DABCA, who will serve as the residency director for the VA chiropractic care program in St. Louis, said the most significant benefit of this partnership is the fulfillment of two shared missions. The purpose of the residencies is to provide recent doctor of chiropractic graduates with advanced clinical training in complex case management to further the scope and depth of their clinical knowledge and experience. The program will focus on an integrated clinical practice, with training emphasizing the provision of chiropractic care in an integrated healthcare system and collaborating with primary care Patient Aligned Care Teams, specialty care, and other medical healthcare providers. Anthony Lisi, DC, chiropractic program director for VA, said the program was designed to expand residents’ ability to work with other healthcare professionals in team care as residents develop their knowledge of hospital practice, policies and procedures and are better prepared for future positions in the VA and healthcare systems. Residents will provide full diagnostic and management services of musculoskeletal and neuromuscular conditions under the mentorship of senior VA chiropractors, who are national leaders in integrated chiropractic practice and can share expertise in patient care, academics and research.